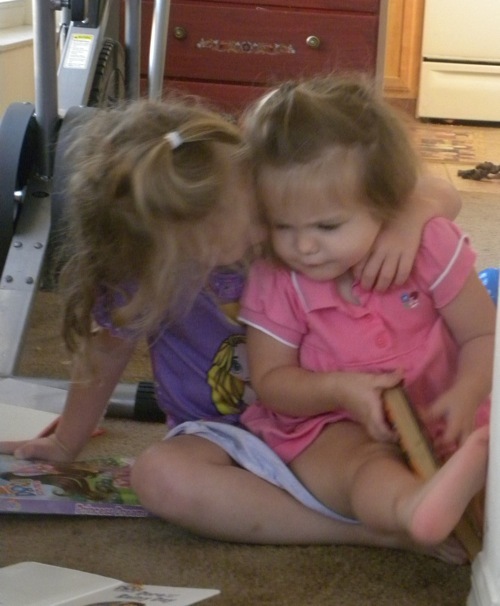 As Mae has approached her second birthday she's been more and more able to play with her sister, and Sadie is loving it. 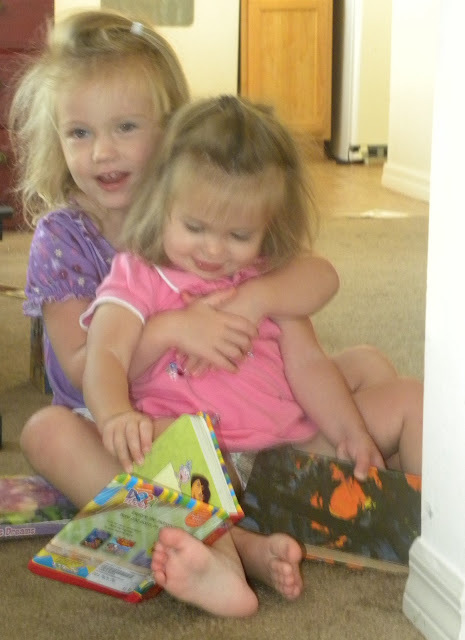 Last night I sat and knitted while they ran and waltzed around the living room, followed by a spirited game of chase, in which Mae chased Sadie around the house for quite a while. 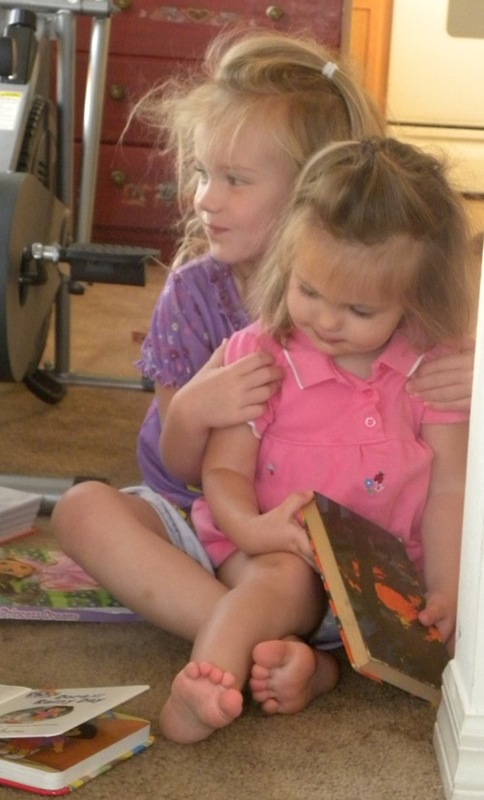 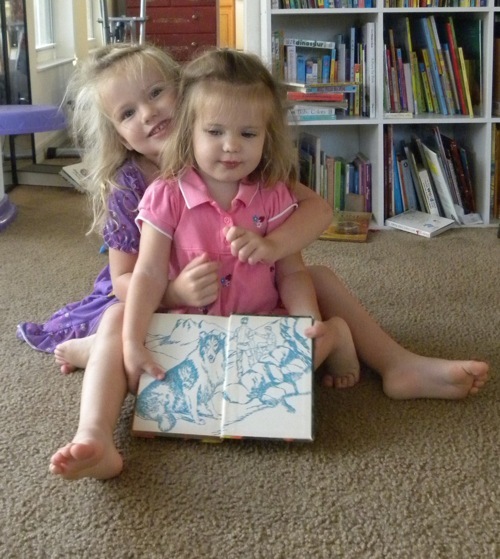 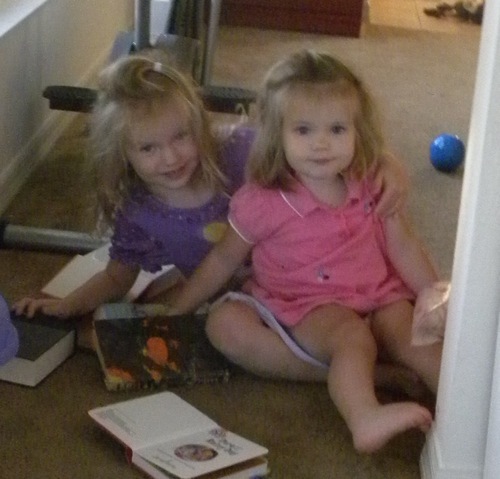 This morning Sadie decided she was going to hold Mae while they read together.